NEW YORK -- North Korean Foreign Minister Ri Yong-ho told reporters on the sidelines of the U.N. General Assembly that Pyongyang might consider testing a hydrogen bomb over the Pacific Ocean after the United States widened economic sanctions against the hermit kingdom. 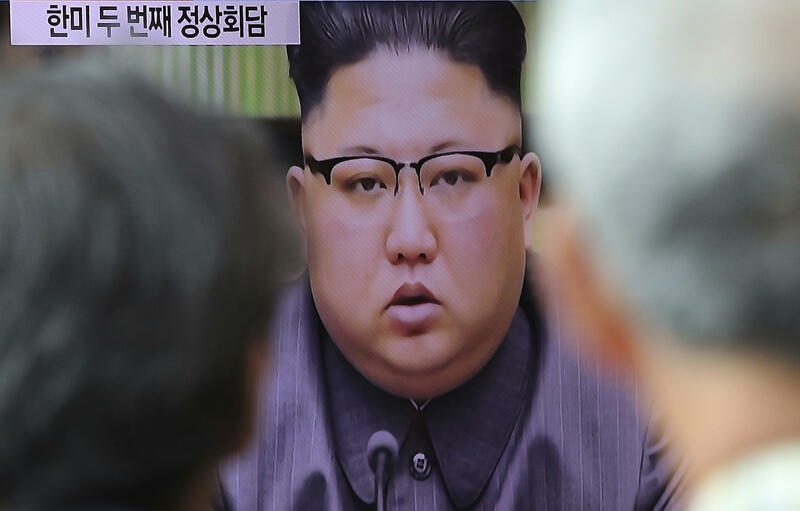 "I think that it could be an H-bomb test at an unprecedented level, perhaps over the Pacific," Ri said, adding that "it is up to our leader, so I do not know well." Mr. Trump responded early Friday on Twitter, calling Kim a "madman" and saying he will be "tested like never before!" Mr. Trump's latest steps to punish foreign companies that deal with North Korea - in the form of further economic sanctions announced Thursday - was the most recent salvo in a U.S.-led campaign to isolate and impoverish the government of Kim Jong Un until it halts its missile and nuclear tests. Mr. Trump announced the measures as he met leaders from South Korea and Japan, the nations most immediately imperiled by North Korea's threats of a military strike. "North Korea's nuclear weapons and missile development is a grave threat to peace and security in our world and it is unacceptable that others financially support this criminal, rogue regime," Mr. Trump said as he joined Japanese Prime Minister Shinzo Abe and South Korean President Moon Jae-in for lunch. "Tolerance for this disgraceful practice must end now." Hours later, Kim branded Mr. Trump as "deranged" and warned that he will "pay dearly" for his threat to "totally destroy" the North if it attacks. The rare statement from the North Korean leader responded to Mr. Trump's combative speech days earlier where he not only issued the warning of potential obliteration for the isolated nation, but also mocked the North's young autocrat as a "Rocket Man" on a "suicide mission." Returning insult with insult, Kim said Mr. Trump was "unfit to hold the prerogative of supreme command of a country." He described the president as "a rogue and a gangster fond of playing with fire." He characterized Mr. Trump's speech to the world body on Tuesday as "mentally deranged behavior." Mr. Trump's executive order expanded the Treasury Department's ability to target anyone conducting significant trade in goods, services or technology with North Korea, and to ban them from interacting with the U.S. financial system. Mr. Trump also said China was imposing major banking sanctions, too, but there was no immediate confirmation from the North's most important trading partner. China's central bank would not take questions by phone Friday and did not immediately respond to a faxed request for comment. Mr. Trump praised China for instructing its banks to cut off business with Pyongyang, but neither the Chinese nor Trump officials were ready to say so. Treasury Secretary Steve Mnuchin said he had spoken at length Thursday with the head of China's central bank but "I am not going to comment on confidential discussions." If enforced, the Chinese action Mr. Trump described could severely impede the isolated North's ability to raise money for its missile and nuclear development. China, responsible for about 90 percent of North Korea's trade, serves as the country's conduit to the international banking system. Mr. Trump said the China action he described "was a somewhat unexpected move and we appreciate it."